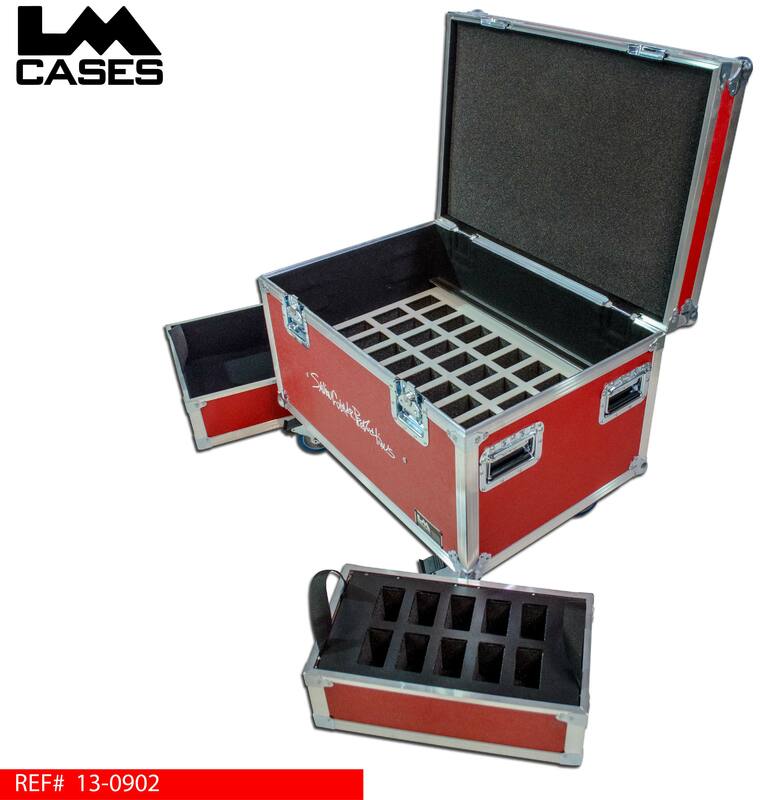 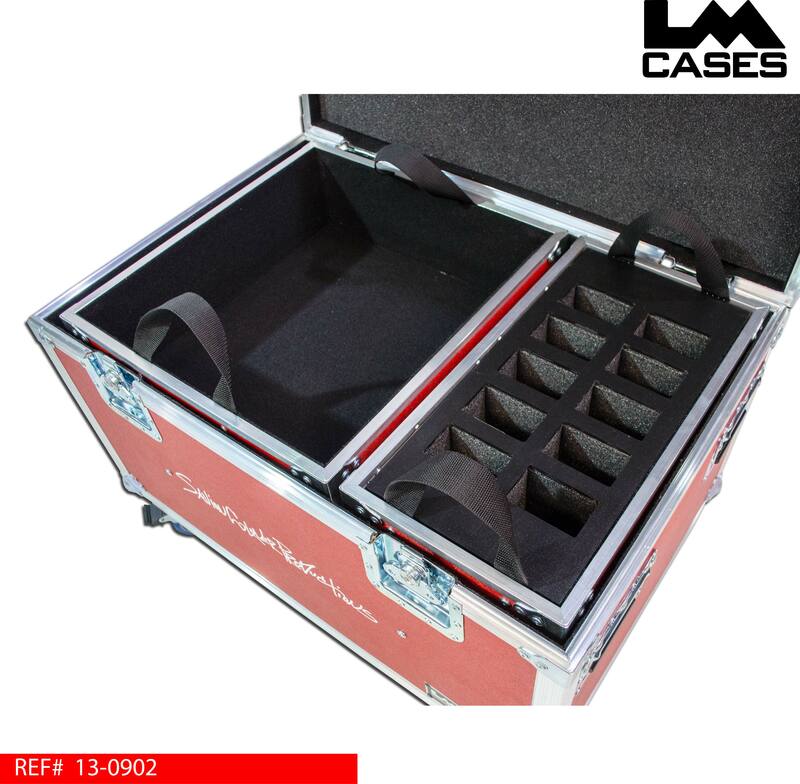 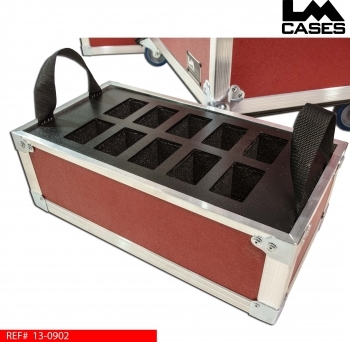 This case was designed for Savion Glover Productions to hold 40 Radial J48 DI's and 10 Countryman Type 85 DI's. The DI's are stored in 2 layers and color coded for easy identification for faster setup's and load out's. 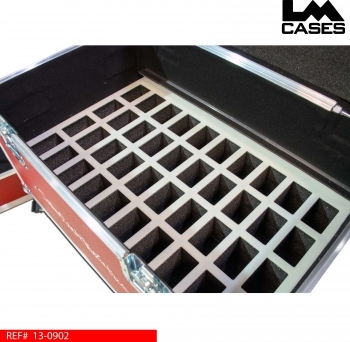 The Radial J48 DI's are held in a CNC cut PE foam insert with a white marine grade plastic top layer to protect the foam over time. The 10 Countryman DI's are stored in a removable tray with the same style marine grade plastic/PE foam insert. Also included is a separate tray for patch cables and other accessories. 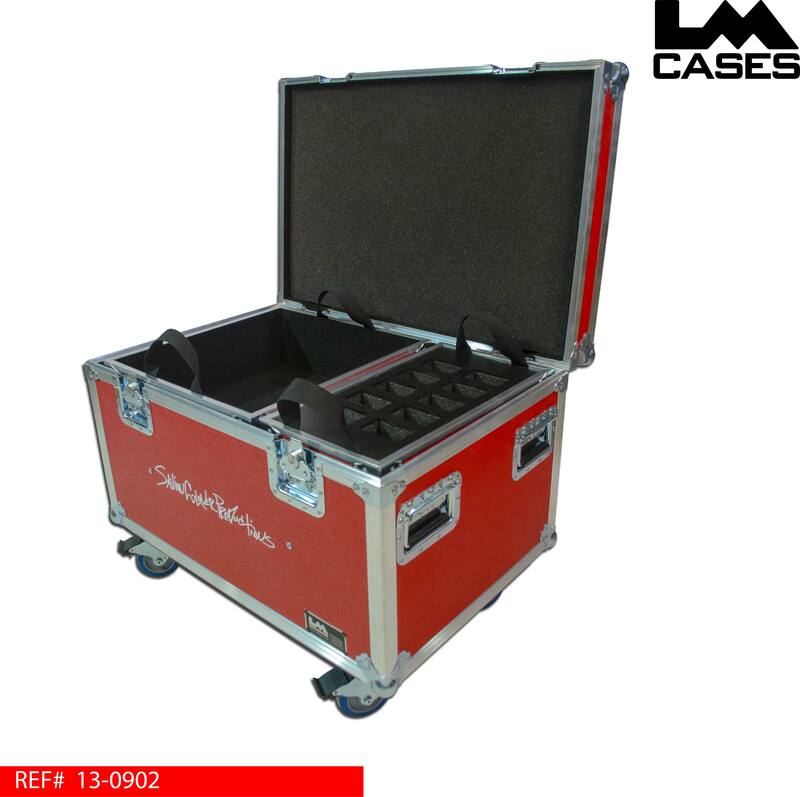 The exterior case is built out of 3/8" plywood laminated with red ABS plastic and features 4" Colson casters, deep recessed handles, stacking caster wells and a custom silkscreen of the Savion Glover Productions logo. 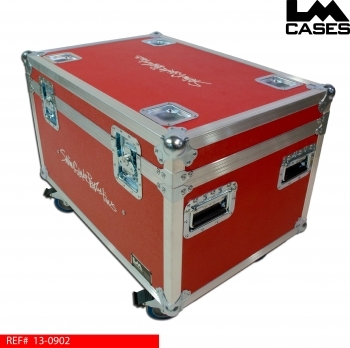 Special thanks to Thishawn and Savion Glover Productions!